Welcome to… Jurassic Park! The Movie Gang is excited to bring you another one of a kind movie goer experience! 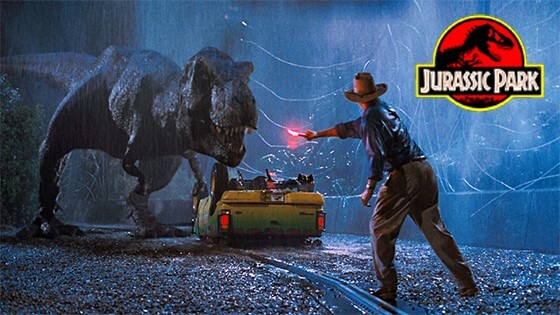 In 1993 when this film was born it grew even bigger than a T Rex. A groundbreaking movie showcasing new technology in film and sound. Capturing what it might sound like if a stampede of dinosaurs were racing towards you or a T-Rex throwing your car through the air! The plot also cleverly warns what might happen when humans mess with the course of nature! A movie theatre is the only proper place to experience Jurassic Park’s size and we are giving you the opportunity once again! Thats not all! We have teamed up with the Nashville Zoo and before the movie they will be doing a live animal presentation on stage. Plus more to be announced!!! “Hold on to your butts!” - Samuel L Jackson. - Live Animals! The Nashville Zoo will be doing a live animal presentation onstage 30 minutes before the film starts! - Real Fossils! Ask Paleontologist Dr. Larisa Desantis about Dinosaurs, Sabertoothed Cats, And More. - Dinosaur Lab! Grow your own dinosaur in water using a magic pill! - Plus More to be announced!